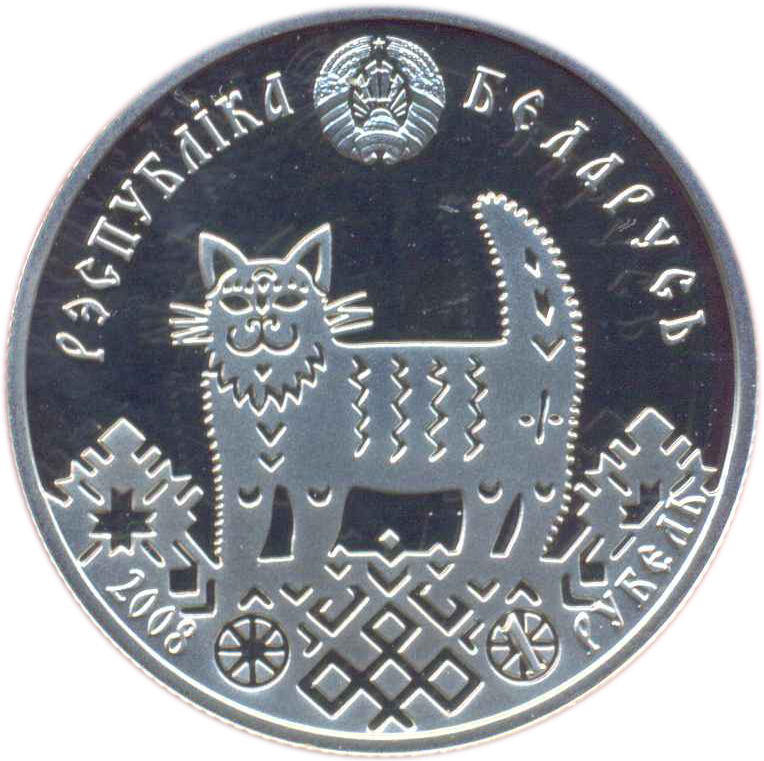 At the top – the relief image of the State Coat of Arms of the Republic of Belarus; in the center – the image of a cat standing on the base of a semicircular decorative composition including the symbols of the sun, fire, and hearth and home – the symbol of a family; beneath – the year of issue and denomination – 1 РУБЕЛЬ (1 RUBLE); and at the top – a circumferential inscription: РЭСПУБЛІКА БЕЛАРУСЬ (THE REPUBLIC OF BELARUS). 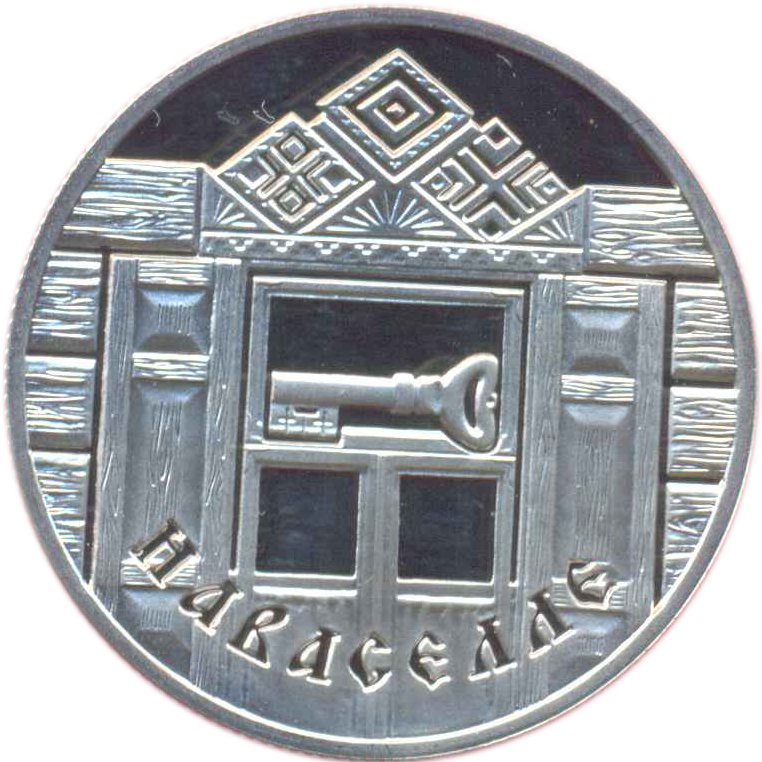 A symbol of a house represented by the fragment of a wall with a window over the crossbar of which there is a key – a symbol of opening a door of a house. The window trimmer is presented as a composition from the ornaments–symbols related to the notion "house–warming" by implication. 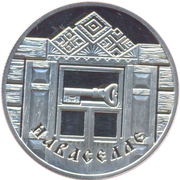 The opened shutters and curtains symbolize house and home and hospitality; and at the top – a circumferential inscription: НАВАСЕЛЛЕ (HOUSE–WARMING). 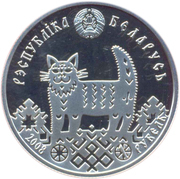 NOTE: struck at The Mint of Poland PLC., Warsaw, Poland.